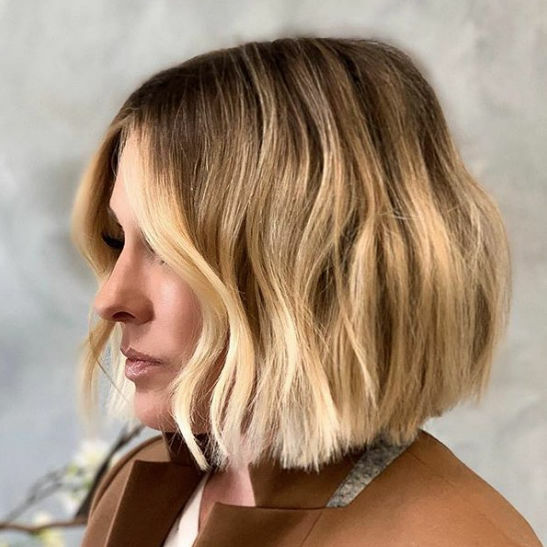 The lob, or long bob, has been hailed as one of the best haircuts of all time because it’s absolutely no fail. There’s a lob to flatter every face shape and hair type, including thin hair. That’s right—lobs aren’t reserved for thicker hair. In fact, it's one of the ideal lengths for thin hair. The key to having this haircut is to keep the length above your collarbone. Any longer, and your hair will thin out toward the ends, which is not the look we’re going for. These picks will add depth and volume before you can even reach for volumizing products, although they always help for finishing touches. Whether you want a low-maintenance style or a slight A-line cut or you want a bigger change like full fringe or an asymmetric look, these looks are the best for making your thin hair look its fullest. Keeping the ends blunt will make your hair look thicker, but if you’re not a fan of all-one-length cuts, go asymmetric. With this modern look, the hair on your dominant side is slightly longer than the other. With thin hair, too many layers will look choppy. Aim for soft, long layers to add dimension, depth, and texture. The shag is back! The modern take on long, fringy bangs parted down the middle comes paired with laid back waves for the ultimate boho look. 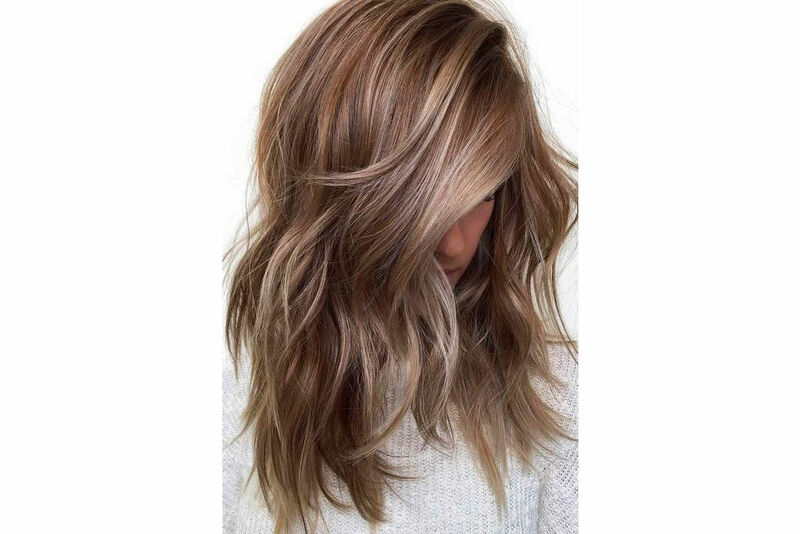 Highlights and lowlights, especially when painted on with the balayage method, will add depth to fine hair. 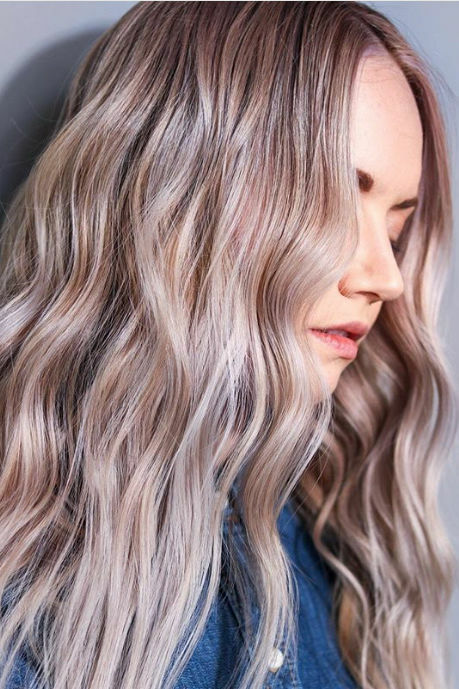 Light layers will make this easy color job look even more natural, and it works for any base hair color. A deep side part has always been the easiest way to add volume without products or scissors. Try parting your hair further on the side you normally do or even switch it to the opposite side. Of course, a little root lifter never hurt either. A full serving of fringe is just what you need to add some oomph to your look without help from products. Bangs are the “it” look right now, and they had fullness to the hair overall, creating a thicker look. Blunt ends make hair appear thicker and waves add texture and depth. With this haircut and style, no one will think your hair is naturally on the thin side. The A-line is a clever way to use layers and length for an overall thicker appearance. Keeping it slightly longer in the front than the back makes hair look fuller, but be sure not to go past your collarbone to keep it from thinning out. Adding a few layers up front will make your fair look fuller without fooling with all-over layers. The ends can stay blunt to maintain a thicker appearance and for styling ease. 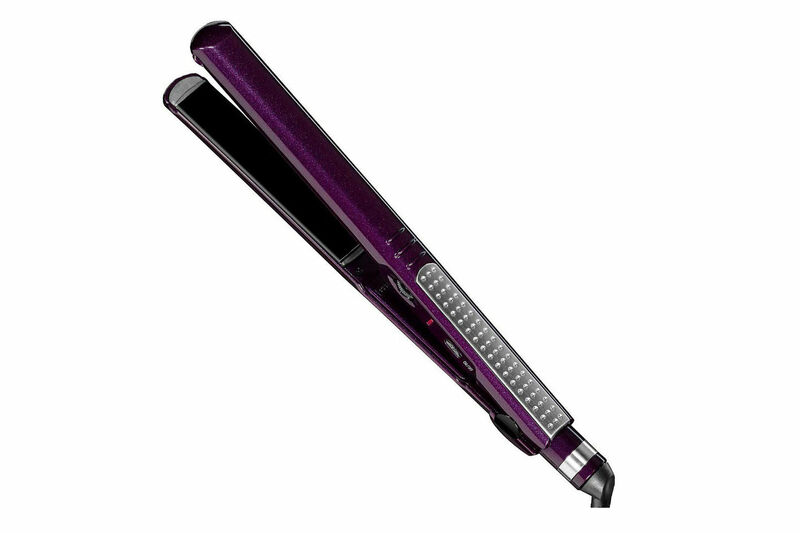 Use a one-inch or thicker curling iron for full waves that add body and depth without looking overdone. Use a thickening styling mousse for added body and to hold it together.